It's late, and I've had a really long day, so I'll try to keep this short. We're in the middle of a heat wave - so our A/C has decided to conk out on us. We scheduled a guy to come look at it first thing early this morning. 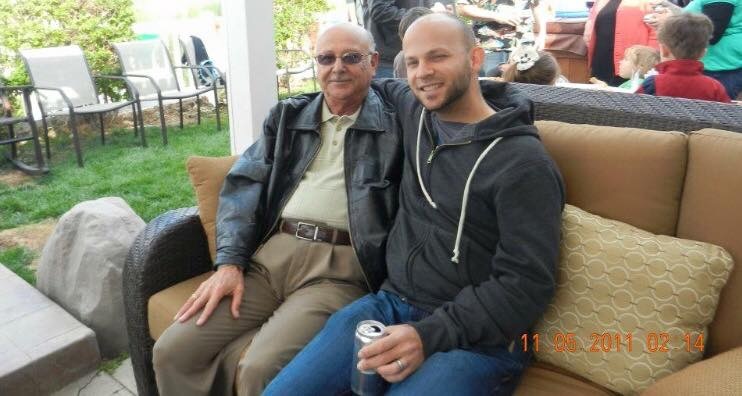 Last night, without any warning, sadly, Jon's grandfather had a massive heart attack and passed away. :( We were suddenly up very late arranging a flight for Jon first thing in the morning. And also arranging for my Dad to come over to take Logan to school for me, since Jon would now be flying out, but someone had to stay home to meet the A/C guy. Both boys had a terrible time sleeping last night. They've been a little under the weather and the hot house wasn't helping matters. So, Jon and I split up as we've been doing the last few nights - with him staying in the boys' room with Logan and me with Callum in our bed (since he tends to wake up 1-2 times a night with these horrendous coughing gagging fits and is only able to finally relax enough and fall back to sleep if I hold him, comfort him, and rock him back to sleep). It's made for some very long and sleepless nights for Jon and I. Took his temp and he had spiked up to 102.2. Grrrrreeat. So, I'm on the phone calling/talking to the on-call doctor. Jon is pushing his flight out to a later flight. The A/C guy shows up early. And a few beats behind, my Dad arrives to take Logan to school (who is trying to sneak in some last minute zzzz's totally dressed for school but conked out in bed). I hear them all bustling around the house while I'm begging poor Callum to take some Tylenol (I got permission from the on-call dr after I told him I wasn't interested in waiting forever in another ER with a feverish kid) and packing up our things to go. My Dad took off with Logan. Jon set up the A/C guy to run some tests. And Callum and I headed back to the beloved nearby ER. We were actually admitted quite quickly this time, thank goodness. The ER doc and I discussed the tests we had just ran on Saturday and debated whether to do another chest X-ray. I asked if there can be change, that quickly, from a few days to now. He said yes sometimes there can. So I said ok let's do another X-ray too. Callum received a heavy dose of antibiotics via IV at the ER and they sent us home with an oral prescription as well. We already had a normal check up at the clinic scheduled for Thursday so now we'll use that as a follow up as well. Still, given everything that's been thrown at us, I think it's safe to say we're a little pissed and frustrated at the Universe right now and just a tad bit on edge. If Callum does well over the next 24-48 hours I think we'll all, finally, start sleeping a little better again.